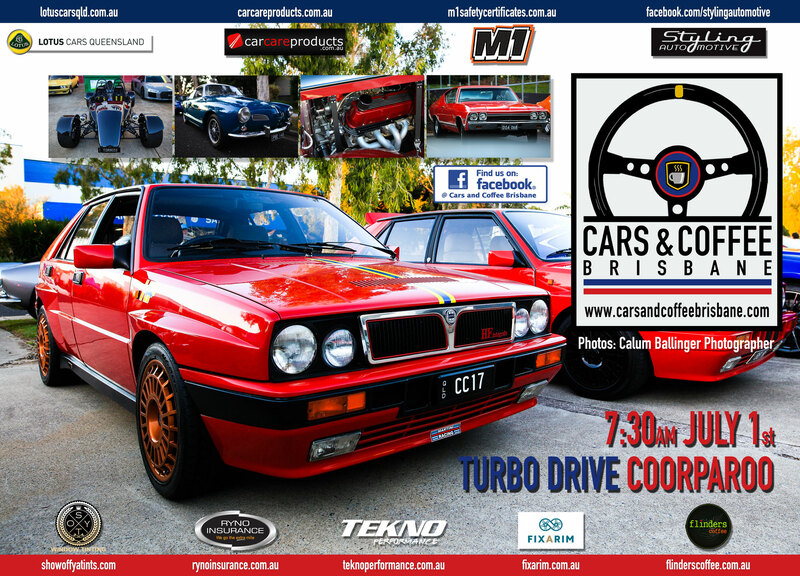 Cars & Coffee Brisbane is on again Saturday the 1st of July. Please join us in your rare, classic, vintage, historic, exotic or race vehicles. We would like to thank our sponsors Styling Automotive​, M1 Safety Certificates​, Show off ya Tints​, Ryno Insurance Services Pty Ltd​, Car Care Products,Tekno Performance, Flinders Coffee , Lotus Cars QLD & Fixarim Pty Ltd ​ for their ongoing support. The ladies representing The Fred Hollows Foundation will be present for the final time before they embark on their Sunshine Coast trek later in July. Please donate generously to this worthy cause. Keep in mind that this is a family-friendly event, so please drive and behave responsibly. Also, the people standing on the traffic island at the entrance to Turbo Drive are becoming a concern. Please do not stand there, you are putting yourselves and others in danger.